This book explores a striking common feature of pre-modern ruling systems on a global scale: the participation of childless and celibate men as integral parts of the elites. In bringing court eunuchs and bishops together, this collection shows that the integration of men who were normatively or physically excluded from biological fatherhood offered pre-modern dynasties the potential to use different reproduction patterns. 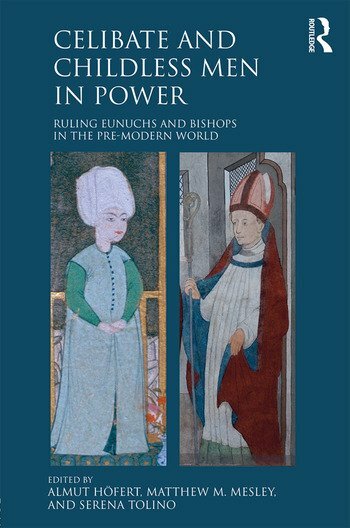 The shared focus on ruling eunuchs and bishops also reveals that these men had a specific position at the intersection of four fields: power, social dynamics, sacredness and gender/masculinities. The thirteen chapters present case studies on clerics in Medieval Europe and court eunuchs in the Middle East, Byzantium, India and China. They analyze how these men in their different frameworks acted as politicians, participated in social networks, provided religious authority, and discuss their masculinities. Taken together, this collection sheds light on the political arena before the modern nation-state excluded these unmarried men from the circles of political power. Almut Höfert is Professor for Medieval Transcultural History at the University of Zurich. Matthew M. Mesley is a Visiting Fellow at the University of Huddersfield. Serena Tolino is Junior Professor for Islamic Studies at the University of Hamburg.